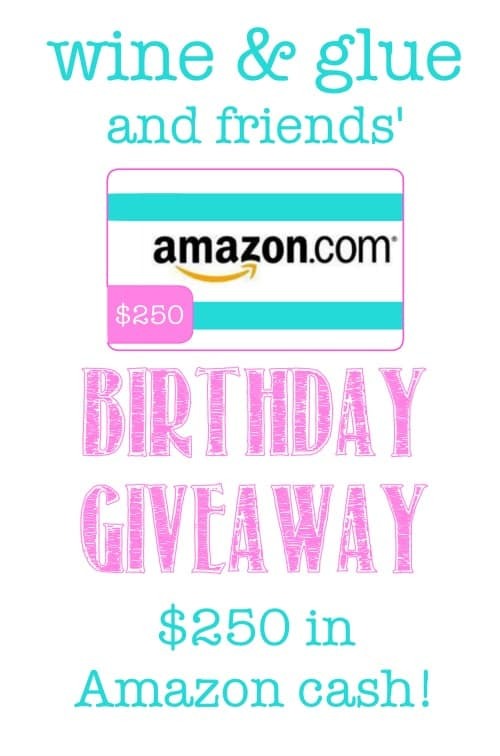 Amazon Gift Card Giveaway - Chocolate Chocolate and More! Who doesn’t love to shop? $250 Gift certificate to Amazon? Well I would, but I’m not eligible. but you all are. My lovely friend Lisa of Wine & Glue is celebrating her birthday! 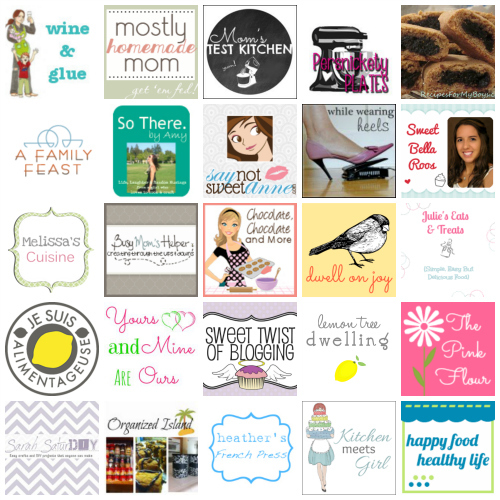 All these wonderful bloggy friends wanted to help her celebrate. So it’s $250 worth of celebrating on a shopping spree! Entering is easy, just follow all the prompts from the rafflecopter and good luck! And a Happy Birthday Lisa , love you girl! I would buy a lot of Christmas presents, some kitchen supplies, and anything I needed! i always order from amazon so i would love this! I would pick up some kindle books for me and maybe some apps for the kids… THanks for the giveaway! Things for my new apartment! This is great! I’d get some new books and music and a few kitchen accessories. Books, books and more books! Books for me, books for the kids and books for gifts! OH! I think that I would buy books, but part of me would like to put it toward a tablet or laptop. I would like a new frying pan, something really in a good quality, they are so pricey. I would buy a juicer! I love Amazon! I need to buy some things right now! Thank you ladies! I need a new laptop. I would buy all the ebooks and print books on my wishlist and lots of music for my iPhone! I would also buy games for my Granddaughter’s Vtech Innotab 2S so that she will stop asking to play on my Kindle! I’d love to win. Would buy lots of Kindle books. I would buy an ice cream maker, so I can make ice cream without cow’s milk. Also, I was just diagnosed with Lupus last Tuesday, so I would buy some protective clothing with sunscreen so I can spend some time outside this summer. I love summer!! I would buy lots of fun summer toys for the kids and dogs. And some books for myself and my husband! I’d use it to buy xmas gifts. I would use it toward the purchase of either a new laptop or an iPad, probably the iPad. I’d love to be able to take the iPad into my small kitchen when cooking one of my many pinned recipes instead of my laptop. Love you too Joan!! Thanks for helping me celebrate! I would use it to rent instant videos. I would buy kitchen items. I’d buy some exercise videos.